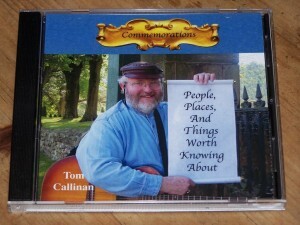 Tom Callinan Introduces us to two new CD’s of his legendary music! Commemorations is a collection of local legends and National treasures put to music. The characters of a time past and gone are given the breath of life in their story told. The music is warm, engaging and memorable as the tunes wind you into a tale centuries old or as fresh as yesterdays commute across the Baldwin Bridge. This is CD is perfect compliment to a classroom, would work well in a pub, the music is for museums and families alike. This 2011 release is sure to be a favorite among the history lovers and the classic sounds of guitar and voice meld into the troubadours message. On this CD I fell in love with a couple of the songs right away. One is the tale of Sebal Luddington, a previously unsung heroine. 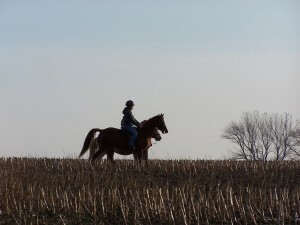 She made a valiant ride similar to Paul Revere and with that ride earned her right to be honored in lore and song. Another fave of this album is Bushnell’s Turtle. I love the rythym and the descriptive nature of the Turtle’s work. This is certainly a song of bravery. 17 songs on this packed CD, a sure thing for the next long car trip or as a gift to student of history. 3:12 the time it takes to sum up the great body of work completed by Connecticut great Noah Webster. His mastery of word and language truly unsurpassed. Whenever I pick up a dictionary from this time on my toe will tap out a beat to a song of the wonder of all those words. Land of Hills and Mills is a wonderful tale of the Quiet Corner of Connecticut. The 5:46 second journey is a timeline of what once was and now is Killingly, CT.
Bells of Norwich, service of the Yantic Fire Dept. and a heroic stand against odds at Fort Griswold help to fill out a collection of historical power in music. This is a collection of songs to perfectly describe all the variables that New England can be, sometimes all within a day! A second purpose is recognizing holidays in song. The Patriotism of a Memorial Day or Fourth of July down to the “Christmas in Connecticut” track. Does an Apple have the power to haunt, well maybe those of Micah Rood do, listen and find out. 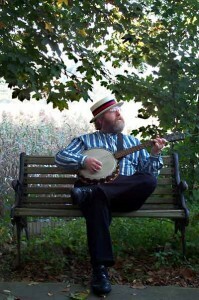 Other tracks feature the music of simple pipe flutes, in haunting tone or lilting like an Irish jig. The longing tones of the flute bring out the power in the words of the creation story of the Abenaki Peoples in the story of Mount Monadnock. The First CT. State Troubadour will be launching these CD’s simultaneously from the Customs House ( home to New London Maritime Society) in New London CT. The debut is part of a festival of Celebration sponsored by the Maritime Museum in New London, CT. Dec 3 at 6:30 p.m. Children 10 and up will enjoy the performance and adults will listen anew to tales once heard now brought back in song.